Among the UNESCO World Heritage Sites is Batad Rice Terraces. Unlike Banaue rice terraces, it is less famous and only known to those who are brave enough to find this hidden wonder. With the Tappiya Falls to boost, the place has warmed its way into one of my favorites. From the people of Banaue, out came Batad Rice Terraces. What makes it unique is the amphitheater-like terraces. Beautiful and stunning, it made me want to stay and enjoy the relaxing comfort the place offers. While walking around the Batad rice terraces, we met other tourists who said they came from the falls. Ecstatic at the idea of a falls, my friend and I decided to go check it out. To get to the falls, we had to walk for around 30 minutes. It was a hot day and the way requires you to go up and down. Tired as we were, a look at the falls left us in awe. The water is so cool and clean. It’s a great place to take a dip and swim. You have to be careful when walking around the pool, though. Underneath the water is rocks covered in moss which can be really slippery. If you’re thinking of staying for the night at the village, I suggest you book ahead. The available accommodations can get fully booked during the weekends and holidays. 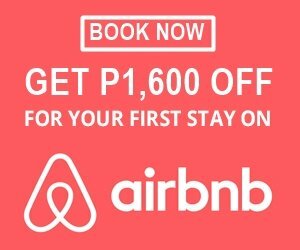 Book online at agoda.com for discounts. Here are some of my recommendations. From Sampaloc near UST (University of Santo Tomas), ride the Ohayami bus. It leaves at 10 PM and 9 PM during the peak seasons. Travel time is 9 hours and fare is 490 pesos. Upon arrival in Banaue, register at the Banaue Tourism Office. Registration fee is 20 pesos. Hire a tricycle to get you to Batad Saddle Point for 500 pesos which are good for 3 to 4 persons. If not, you can charter a jeep for around 2800 pesos good for 20 persons. Get down and trek for around 20 minutes to get to the Batad Village and the Batad rice terraces. Once in the village, register and pay the 50 pesos heritage fee. From Baguio, ride the Ohayami bus which leaves at 9 PM. Travel time is 7-8 hours and fare is 450 pesos. Upon arrival in Banaue, follow instructions above. Note: Buses get full especially during weekends and holidays so be sure to book in advance. You can book your tickets online at the Ohayami Trans Website. There are no ATM around the place so be sure to bring some cash. The place is isolated, trekking is the only way around. Hire a guide so you won’t get lost. To get a good view of the rice terraces, hike to the Awa View Deck. Best time to go to see the rice terraces is from April to May and October to November when the terraces are at its greenest. Book your rooms and buses ahead of time. Rooms and buses can get fully booked especially during holidays and weekends. Like the article? Follow me on Facebook, Instagram or subscribe for more camping and travel updates! Check out other camping and travel guides tips here at Wanderera.